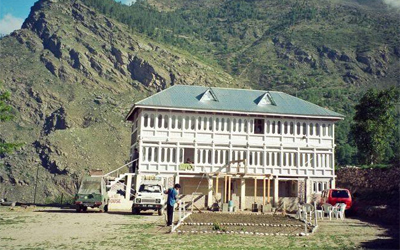 Hotel Mount Kailash is an attractive holiday escape located in the heart of Sangla, the most beautiful hill station. Guests can enjoy excellent view of various tourists' spots such as Buddha Temple, Kamru Fort, Kamru Village and Rakchham, which are at a short distance from here. 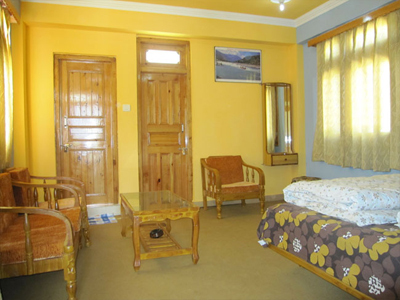 The property offers best of facilities and services to make your holidays full of fun and pleasure. The hotel accommodates well-equipped rooms featuring large windows overlooking lush green trees, enchanting valley and high Peak Mountains. 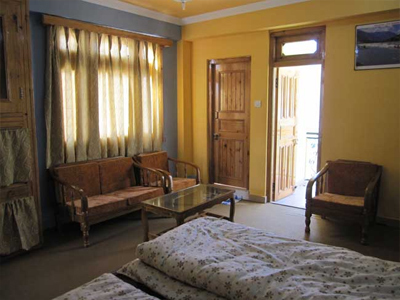 Wooden furnishing along with modern amenities in each room enhances to its elegance and charm. 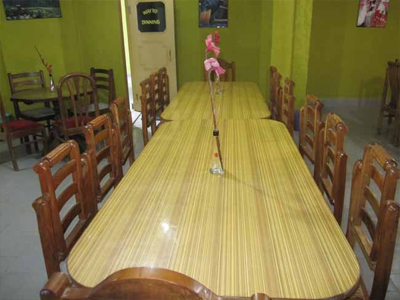 Guests can set a special evening to treat their loved ones by availing bonfire arrangement facility. 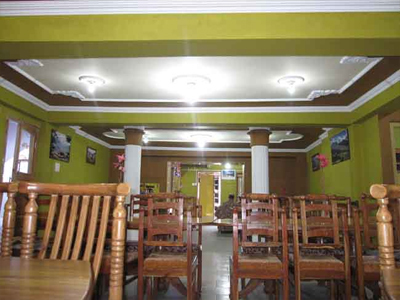 Pamper your taste buds at the on-site restaurant with various delicacies. Ever ready helping staff is always available at your service to take care of your day to day needs. 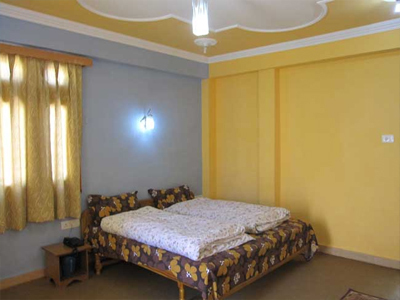 For a comfortable accommodation, the hotel offers well-appointed rooms reflecting an ambience of elegance and charm. Each room features a wooden furnishing along with the necessary room amenities like television, direct dial telephone and mini bar. Attached luxury bathrooms come with 24 hours hot and cold water supply and other essential toiletries.